Summer vacation is a great time to make some wonderful memories with your kids. Sometimes, however, those memories can be expensive. A typical family outing to a water or amusement park can cost upwards of $200 for a family of 5. This doesn't include lunch, snacks, and if you are anything like me, souvenirs. If you are going to splurge on a family outing make sure you check out sites like Groupon.com and LivingSocial.com for a better price. As for me, I'm striving for a as cheap as possible. Here is a list of free or almost free things to do this summer. This list is specific to the Salt Lake City area, but things like this are available nation-wide. 1. Splash pads: There are splash pads all around town that offer a free and fun place to cool off. 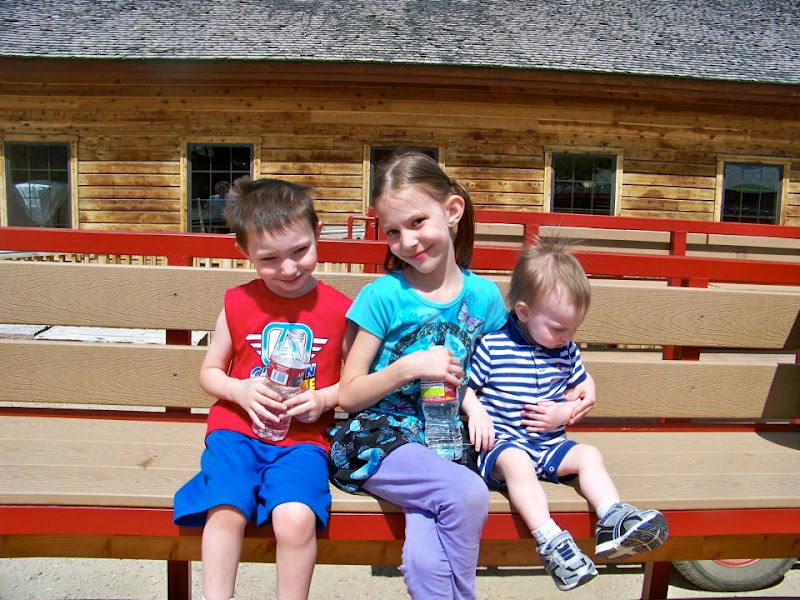 Click HERE for a list of splash pads in Utah. Thanks Enjoy Utah! This was at the Mountain View Park splash pad. Philly just wasn't digging the water that day. 2. 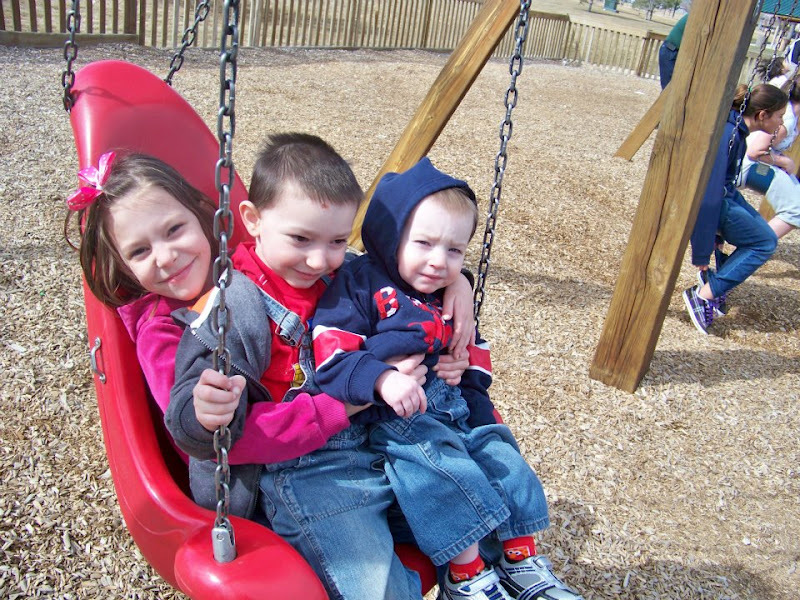 Local playgrounds: There are great parks all over the city, but my favorites include Veteran's Memorial, Liberty Park, and Winchester Park. 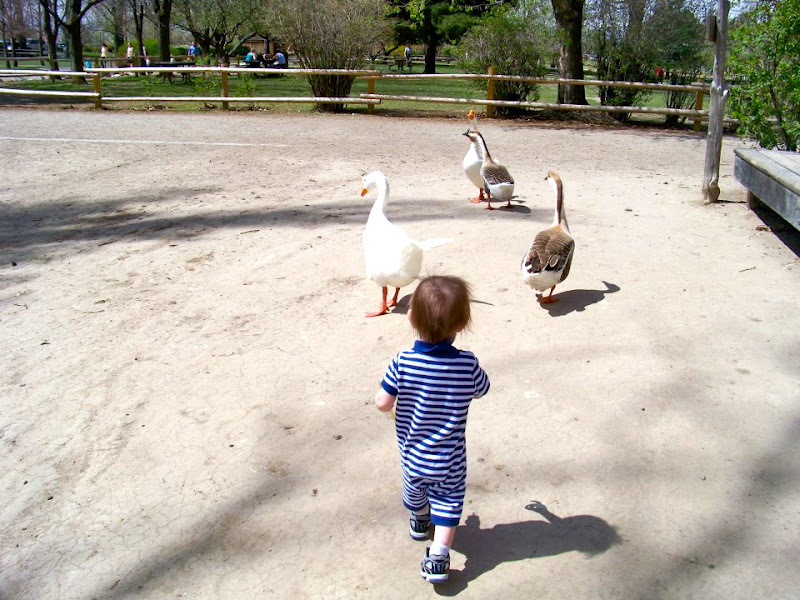 Winchester Park is a little hidden gem with a great walking path, a good sized play structure, and a pond with ducks and geese. 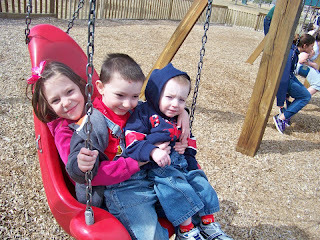 It is by far my kids' favorite park. 3. Conservation Garden Park: I stumbled upon this park by accident and I am so glad I did. It has several beautiful garden areas that are perfect for picnics, or just to let the kids run around. There is even a little sandbox with shovels and rakes for the kids to dig in. There are also fun signs and exhibits around the garden that teach about conservation. You can find out everything you need to know from their website, or just stop by. 4. Clark Planetarium: The Clark Planetarium in downtown Salt Lake City is free to get in to and the exhibits are also free. You only have to pay to see the light shows or movies. If you park in the parking garage there is a small fee, but there is plenty of free outside parking around the building or close by. For more info check out their website. 5. Michael's Passport to Imagination: All summer from June 19th to July Michael's offers free or low cost make and takes featuring a different country each time. You can pick up your passport and schedule at any Michael's store. 6. 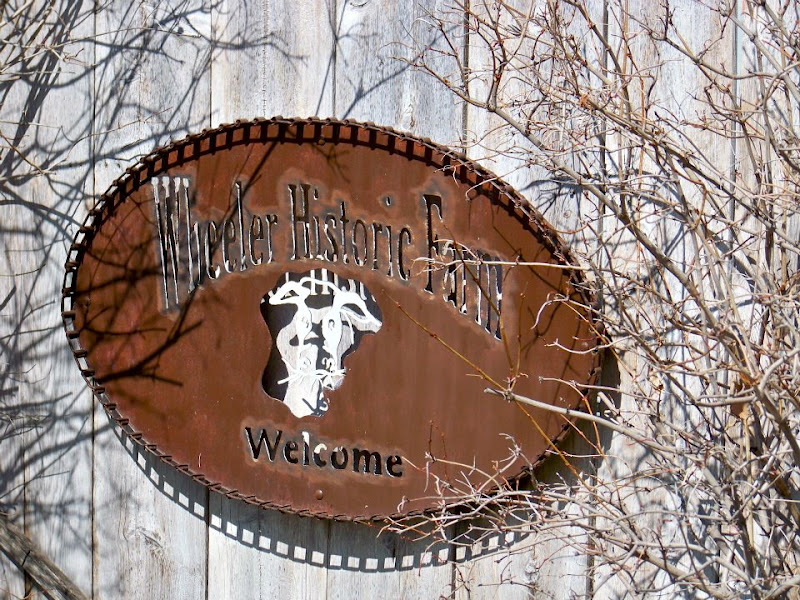 Wheeler Farm: The farm is free to the public and includes a wonderful playground, ducks, farm equipment, and wagon rides for $2 a person. The Wheeler Farm website has more information. 7. Free Lunch Programs: Free lunch is available to all children 1 to 18 years old. Some are given out at local parks while others are at local schools. The Utah State Office of Education website has a list of all the free lunch sites. 8. 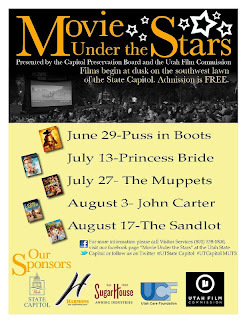 Movies in the Park: Parks all over Utah, and I'm guessing the country, host free movie nights. Veteran's Memorial Park has a free movie on the park every Friday night at 8:30. Sandy's movie in the park will be at different parks all around town. You can look here to find out the location and movie playing. 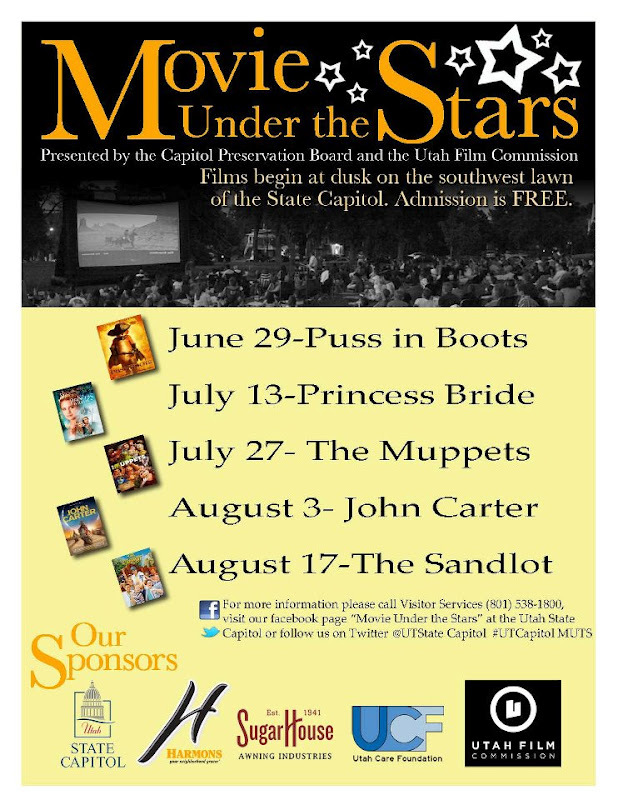 The one I am the most excited for is Movies Under the Stars at the Utah State Capitol. Check out their Facebook page for more info. 9. Free Story Times: Local libraries as well as book stores like Barnes and Noble have weekly and biweekly story times. You can check out the Salt Lake County Library and Barnes and Noble websites for times and locations. 10. Fire Station Tours: It just takes a quick phone call to you local fire station and they are usually more than happy to give you and your kids a tour of the station. The last time we toured our fire station the kids got little fire fighter hats and badge stickers. They were THRILLED. *A day out just isn't complete without ice cream. Wendy's sells Frosty keychains for $1 that allow you to get a free Frosty with every transaction. Junior Frosties are only $.50, so three only cost us $1 with our keychain. There you have it: A day out on $1. ***I also recommend a season pass for the zoo if you plan to go more than once a year. 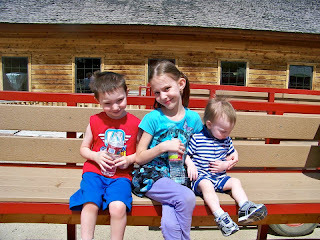 If you buy your pass on the Hogle Zoo website, use the code '729' through August 31, 2012 to save 15%. We just got our yearly pass for $73. It will more than pay for itself after 2 visits, and you can then add it to your list of free things to do this summer and all year round. I fully intend to visit and blog about each of these activities over the next few weeks. Many of these thing I have already done, but I will be going to the planetarium and the movie in the park for the first time. I can't wait! Linking up to THESE great link parties. Thanks for the heads up about Wendy's! Definitely going to put that to good use! And I've forgotten about all those great things to do for cheap. Gosh! I wish my town had movie nights in the park. Those are so fun! Thanks for all the ideas! Just these recommendations alone spark a lot of thoughts to what we can do in our own town. Thanks so much! You lucky big city folk! Jealous! Cadence wants you to adopt her. We do have the library, zoo pass and playgrounds though. Love this! I just moved to Salt Lake from Utah county and have been looking up things to take my daughter to that she'll enjoy and that are cheap, if not free. Thanks for the list!